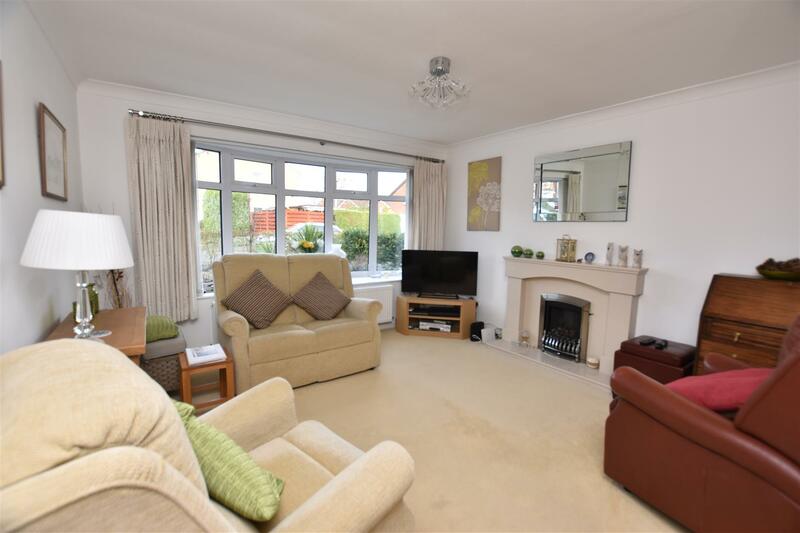 An impressive extended detached family home featuring a quality stylish interior with a rear facing living dining kitchen leading out into the garden ideal for summer entertaining. 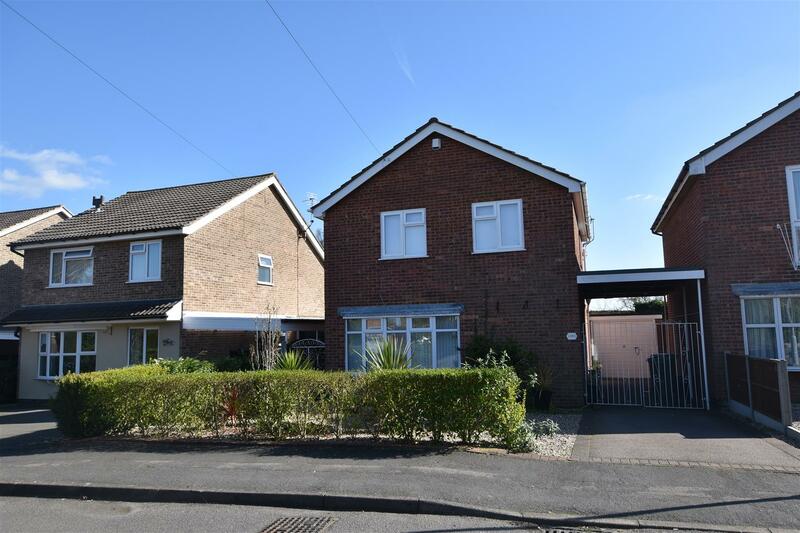 Occupying this desirable horseshoe shaped cul-de-sac within the thriving village of Hathern offering a local Primary School, shops, country pubs and walks along with excellent transport links nearby. 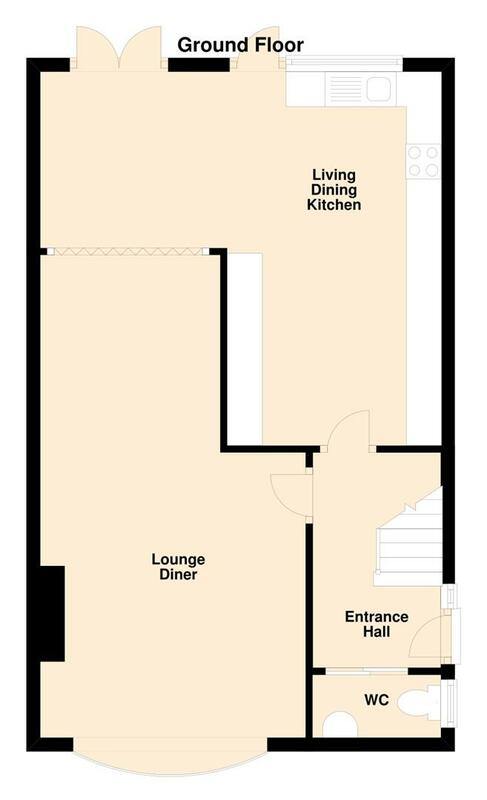 Ready to move into, the accommodation offers white washed walls, uPVC double glazing, gas central heating and in our opinion would ideally suit the young and growing family or professional couple. 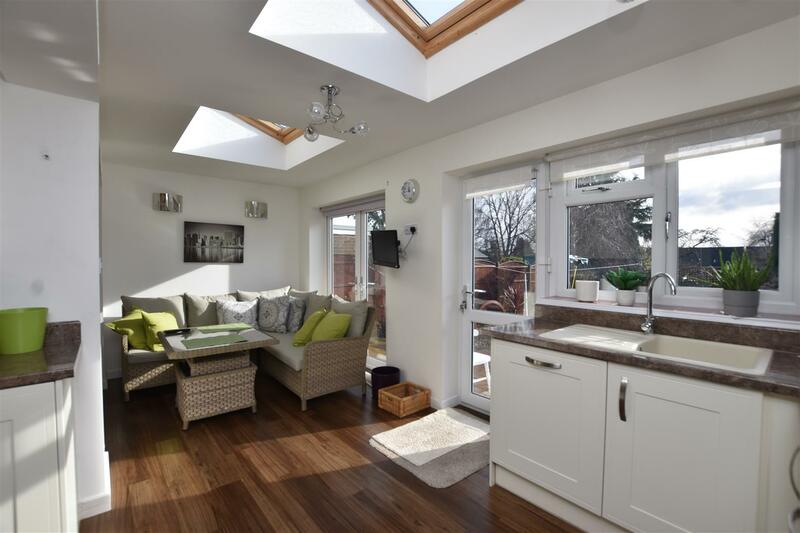 Enter through the hallway with ground floor wc, 22' lounge diner, extended 'L' shaped living dining kitchen with Karndean flooring and integrated appliances. 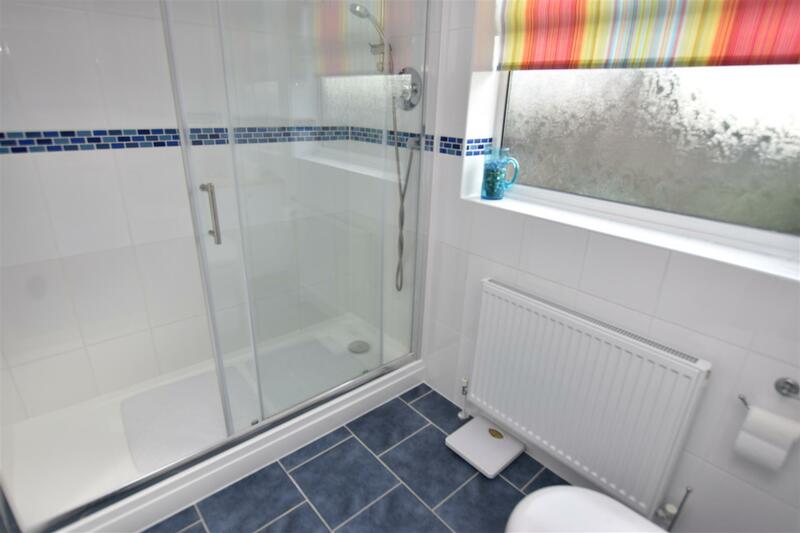 To the first floor there are three bedrooms (two double) and a fully tiled modern shower room. 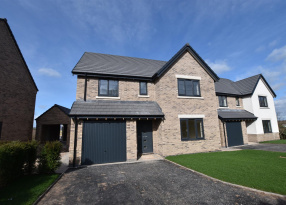 Gardens to the property have been landscaped offering low maintenance living and enjoying an array of mature borders, shrubs, rear paved patio areas with the garden being particularly private and not overlooked. Space for a garden shed and greenhouse and the two to three car driveway leads beneath a car port to a partially attached brick built single garage. Early viewing recommended. uPVC double glazed side entrance door with double glazed window adjacent leading to the entrance hallway. 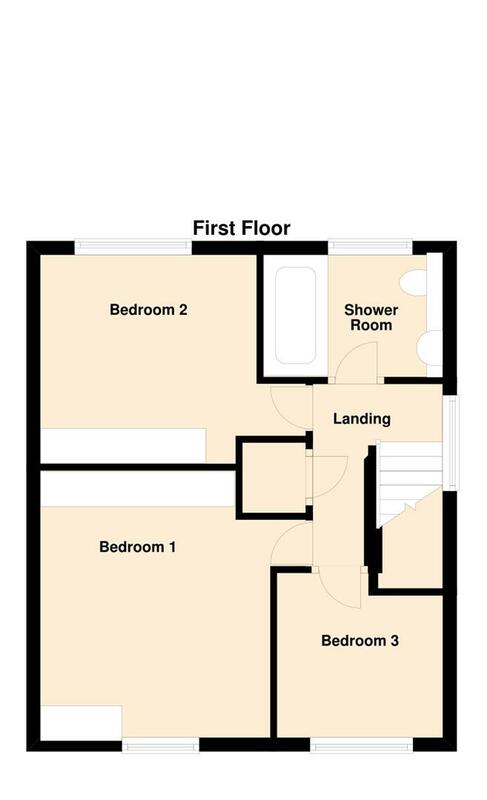 Featuring quality wood effect Karndean flooring, radiator and coved ceiling, under stairs cloaks alcove which also houses the electricity consumer unit and stair case to the first floor. 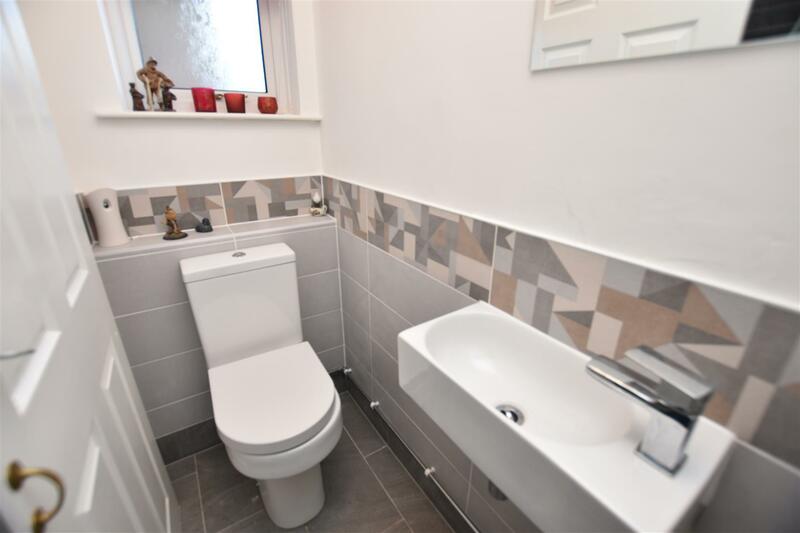 Featuring a recently upgraded stylish white two piece suite comprising low level wc and rectangular contemporary wash hand sink unit. Half height tiled walls and ceramic tiled floor and a uPVC double glazed window. A modern style living space with white washed walls and the lounge area centred around a quality living flame effect gas fireplace with marble hearth, surround and mantel. 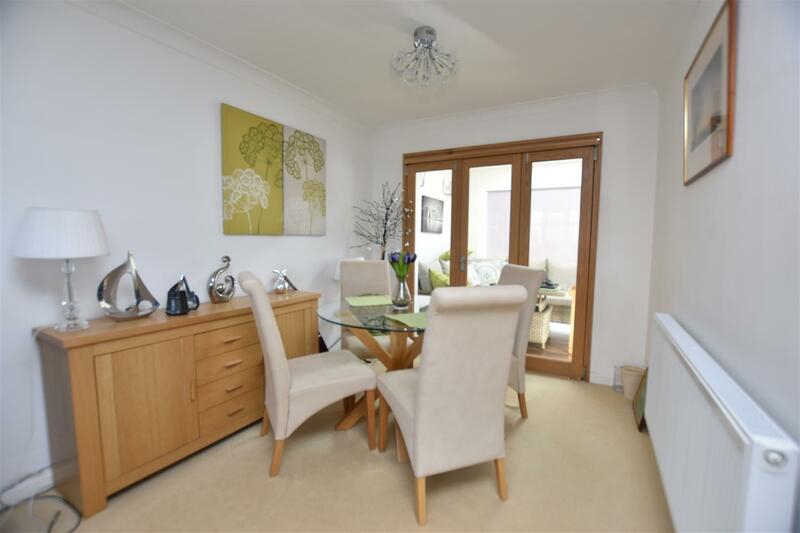 uPVC double glazed bay window, two radiators, coved c eiling, space for a dining table or second sitting area, TV aerial and Virgin Media point and contemporary solid oak glazed bi-fold doors leading into the living dining kitchen. 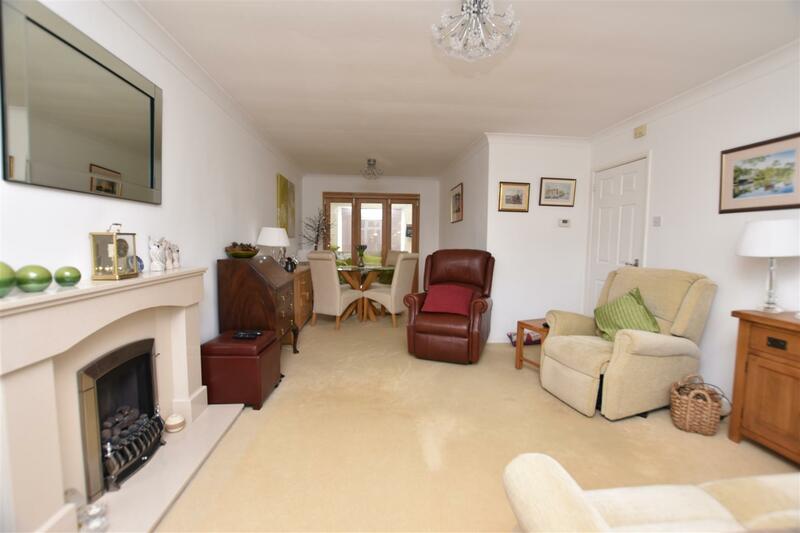 An impressive extended room enjoying views over the rear garden and a place where we can imagine the whole family gathering for cooking, dining and living etc. The quality kitchen area features a comprehensive integrated matching range of base, drawers and eye level units with appliances including fridge, freezer, dishwasher, stainless steel electric double oven, four ring conductor hob and extractor. 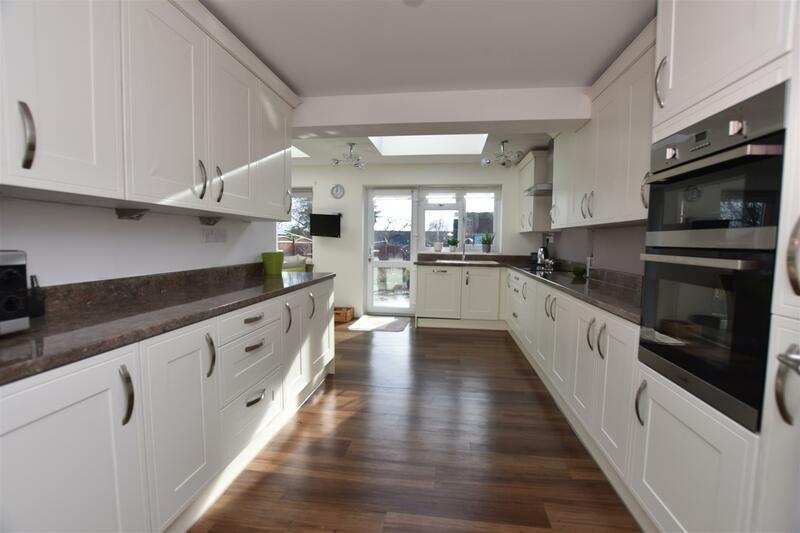 Roll top work surfaces, inset acrylic sink unit, full height pull out larder style cupboard, wine rack, space for a dining table and/or sofa arrangement. uPVC double glazed French doors, window and additional single door leading out into the landscaped rear garden. 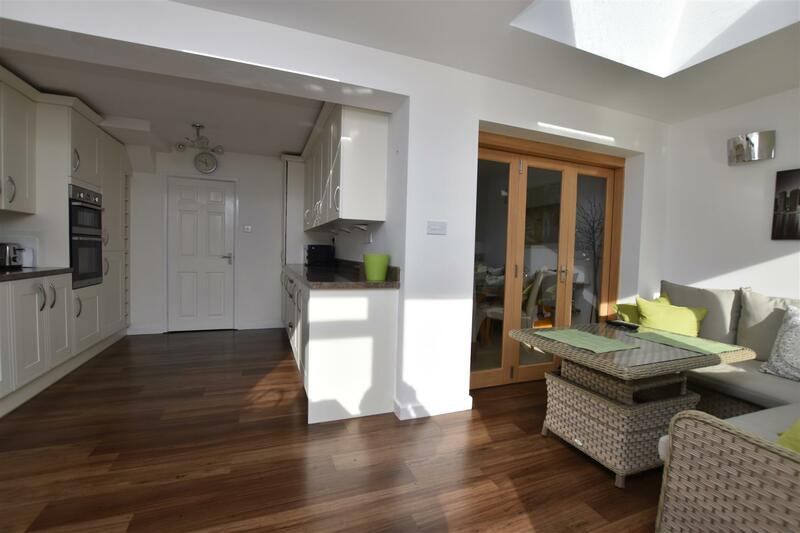 Quality wood effect Karndean style flooring, partially vaulted ceiling to the living area with two double glazed Velux windows, work surface overlighting and TV aerial point. With uPVC double glazed window, loft access with a pull down ladder, boarded and with insulation and light. Airing cupboard housing the 'Ideal Logic' combination gas central heating boiler with shelving and internal radiator. 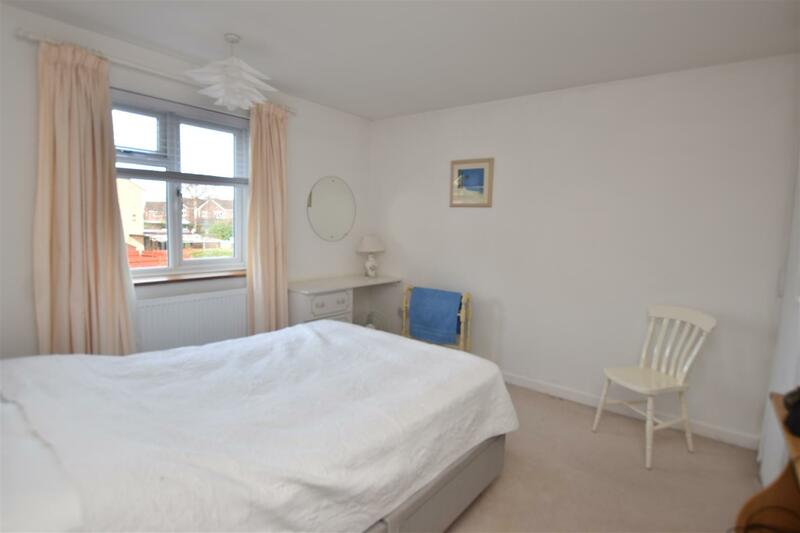 A bright and airy double size bedroom with a range of fitted wardrobes, cupboards and dressing table, uPVC double glazed window and radiator. 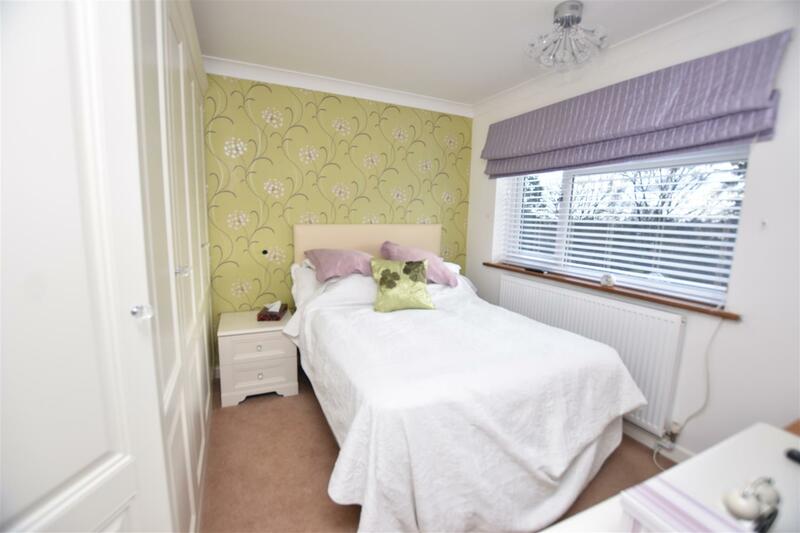 A second double sized bedroom overlooking the landscaped rear garden with a range of quality fitted wardrobes, matching bedside drawer and chest of drawers. Radiator, coved ceiling, feature wall with contemporary wall covering and uPVC double glazed window. 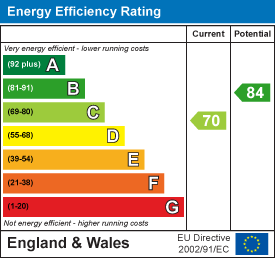 The third single sized bedroom has a uPVC double glazed window and radiator. Featuring a modern white three piece suite comprising triple size shower enclosure with glass sliding doors and Mira mixer shower, low level wc with hidden cistern and vanity style wash hand basin. 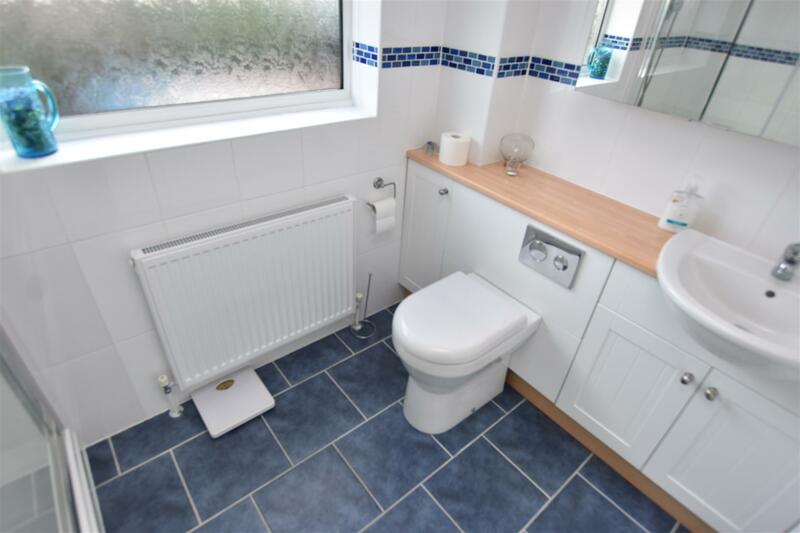 Fully tiled walls, shaver point, ceramic tiled floor, radiator, extractor fan and uPVC double glazed window. 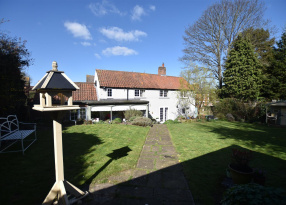 The property occupies this well regarded village location upon a horse show shaped cul-de-sac with amenities in walking distance including a village Primary School and morning playgroup, Post Office shop, country pubs and walks as well as excellent transport links. To the outside there is a retaining front hedge beyond which lies a gravelled low maintenance front garden with mature shrubs. 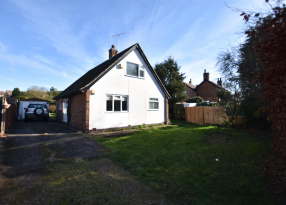 A two car driveway to the side with vehicular gates and leading beneath a car port to the partially attached brick built single sized garage with up and over door, electric light, power and side pedestrian door measuring 17'2 x 8'3. Proceed into Hathern from Loughborough upon Loughborough Road turning right after the Anchor Inn onto Wide Street, second left onto Dovecote Street, first left onto High Meadow where at the top of the hill you should fork left onto Old Way where the property is situated round upon the left hand side. 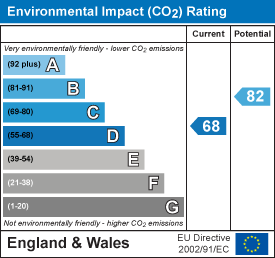 All mains services are available and connected to the property which is gas centrally heated. The property is freehold with vacant possession upon completion. Charnwood Borough Council - Tax Band D.